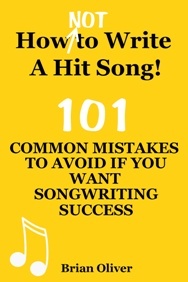 How many songwriters does it take to write a hit song? … Are solo songwriters’ days numbered? “I write the songs that make the whole world sing” wrote Beach Boy Bruce Johnston in his award-winning 1975 song which became a global hit for Barry Manilow. Today, the lyric would probably have to be reworked as: “WE write the songs …”. That’s because the number of chart songs written by solo songwriters has fallen dramatically since Johnston created ‘I Write the Songs’. Back in 1975, 51 hits on the Billboard Hot 100 were credited to a single writer. The figure had fallen to 32 by 1995, just 14 in 2005, and only a handful in 2015 — most notably Fetty Wap’s ‘Trap Queen’ (written solely by Fetty Wap, aka Willie Maxwell) and ‘Take Me To Church’ by Hozier. There has been an increasing shift to ‘music-by-committee’ in recent years. Today, many producers of artists who don’t write their own songs are finding that the best way to consistently generate hits is to use the American TV ‘writers room’ model — with large numbers of pop writers working in teams. Of course, songs created by more than one writer have been around since the dawn of Tin Pan Alley. Historically (with the exception of Holland-Dozier-Holland), hit songwriting teams have mostly been duos — with one partner responsible for composing the melody and the other charged with writing the lyrics. Words-and-music duos have been responsible for some of the greatest songs of the past 100 years: Richard Rodgers and lyricists Lorenz Hart and Oscar Hammerstein II, George and Ira Gershwin, John Lennon and Paul McCartney, Gerry Goffin and Carole King, Jerry Leiber and Mike Stoller, Barry Mann and Cynthia Weil. Ellie Greenwich and Jeff Barry, Elton John and Bernie Taupin, and many more. The increase in the number of writers attached to a hit song — especially in the pop genre — is particularly evident with the so-called track-and-hook approach to song creation. This basically involves a split between the writing of the beat (track) and the hooks (melodies) instead of the traditional ‘words and music’ delineation. Today, songwriting partnerships can be almost as large as a soccer team. In fact, ‘Uptown Funk’ — the Mark Ronson hit assembled from a variety of sources — has eleven different writers attached to its credits. English boy band One Direction had an average of five songwriters per track on their hit album Take Me Home. Britney Spears went two better with her track ‘Ooh La La’ which was featured in the Smurfs movie, The Smurfs 2. According to The Hollywood Reporter, ‘Ooh La La’ was the result of a seven-way collaboration between Lukasz Gottwald, Joshua Coleman, Henry Walter, Bonnie McKee, Jacob Kasher Hindlin, Lola Blanc and Fransisca Hall. As a result of this trend, there have been calls for limits to be imposed on the number of writers who can legitimately claim to be responsible for a hit — especially when it comes to submitting songs for awards. The British Academy of Songwriters Composers & Authors (Basca), for example, wants to restrict the number of writers allowed on works submitted for its annual Ivor Novello Awards to six. Leading British songwriter Graham Gouldman — whose many hits include ‘I’m Not in Love’ (10cc), ‘Bus Stop’ (The Hollies) and ‘For Your Love’ and ‘Heart Full of Soul’ (The Yardbirds) — believes the current situation has become “ridiculous”. John Seabrook, author of the excellent book The Song Machine: Inside the Hit Factory, believes the TV ‘writers room’ approach can be traced back to Sweden in 1994 … to the hit-factory model created by Cheiron Studios co-founder Denniz Pop (Ace of Base, Backstreet Boys) and his protégé Max Martin (pictured below). According to Seabrook, an important part of Denniz PoP’s vision for Cheiron was that songwriting should be a collaborative effort – with songwriters assigned different parts of a song, such as the central chord progression or riff, the chorus, the bridge and the hook. The teams of writers were then expected to willingly share credit. This development is also changing the traditional method of trying to get an artist to cover songs. Instead of pitching songs on spec to a producer or an A&R exec, major labels now often convene so-called ‘writing camps’ for their biggest artists. These communal songwriting sessions typically involve an array of musicians from different genres — all with the same aim of trying to get a piece of a song on the limited track listing for a top-tier album. So what is the optimum number of writers required to create a hit song in 2016? At least four … and possibly half a dozen. That’s according to research conducted by Hit Songs Deconstructed, which specialises in analysing the craft and trends that shape today’s chart-topping hits. Hit Songs Deconstructed found that about half of the Top 10 hits in Billboard’s Hot 100 in 2015 were written by teams consisting of five or more songwriters, compared with teams of at least four writers in 2014. Its research showed that 199 credited songwriters were responsible for crafting the 59 songs that charted within the Hot 100 Top 10 in 2014. “If you plan on writing a hit song, you’d better find a writing partner,” suggests Hit Songs Deconstructed’s founder David Penn.